I spent a part of my weekend baking up some pumpkin scones, which I thought would be lovely for Thanksgiving or Christmas. And they do go perfect both with soups or with jam and cream, but what I really wanted to share was a Brown Betty. Sounds nice already doesn't it? Basically it's a bread pudding, although I've also seen it described as an apple pie. I tasted it and I don't think it's either although if I had to describe it, it'll be exactly in the middle of both. "Pare, core, and slice thin some fine juicy apples. Cover with the apples the bottom of a large deep white-ware dish. Sweeten them well with plenty of brown sugar; adding grated lemon or orange peel. Strew over them a thick layer of bread-crumbs, and add to the crumbs a very few bits of fresh butter. The put in another layer of cut apples and sugar, followed by a second layer of bread-crumbs and butter. Next more apples and sugar; then more bread-crumbs and butter; repeat this till the dish is full, finishing it with bread-crumbs. Bake it till the apples are entirely done and quite soft. Send it to table hot." 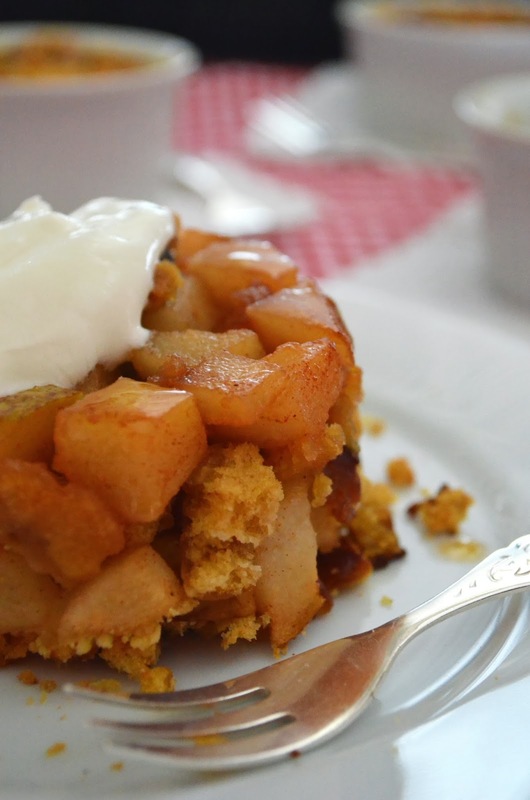 Brown Betty is a recipe that is way older than the oldest person you know right now. That, and then times 2 or 3. It dates all the way back to 1849, but it's quite a bit older considering this is only one of the first times it's written down as a recipe. By then, it was already known throughout the whole of America and even reached as far as England! 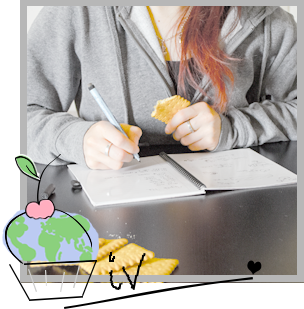 Although the recipe above is lovely, some of you might want to have measurements to hold on to. You know, in case you need to go shopping or wonder how much bread you'll have to leave to stale. So just for you I've tested the recipe a few times, and these measurements should definitely work! 1. Chop the apples or pears in chunks. Toss in the juice, sugar and cinnamon and set aside for a moment. 2. 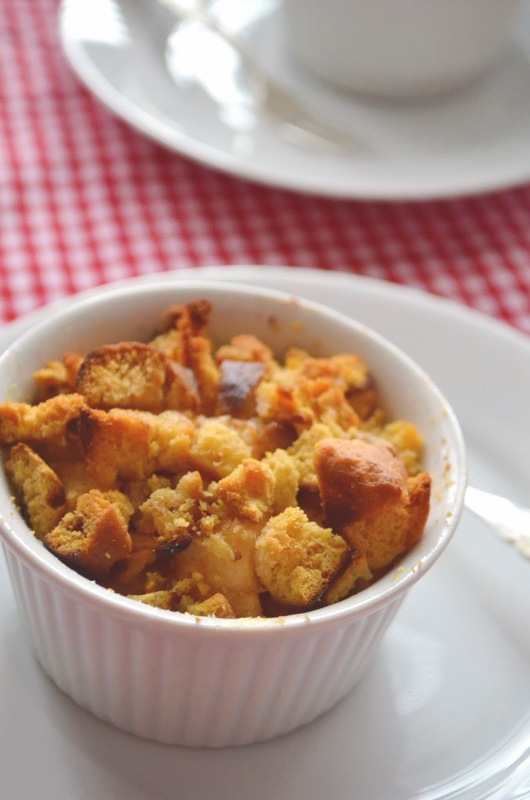 Crumble the bread to a coarse crumb about as large as or smaller than your apple chunks. 3. Cut the butter into small chunks as well. 4. Line up your different ingredients, butter a pie (or other) dish and start layering your ingredients. Start with a layer of apples, then a layer of crumbs, then a layer of butter and then back to apple, crumbs, butter etc. until you have filled up the dish. A small crème brûlée dish will have about 2 layers. 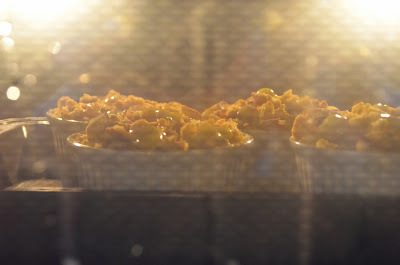 Try to fill the dish till over the top, as the apple chunks tend to shrink when heated. 5. 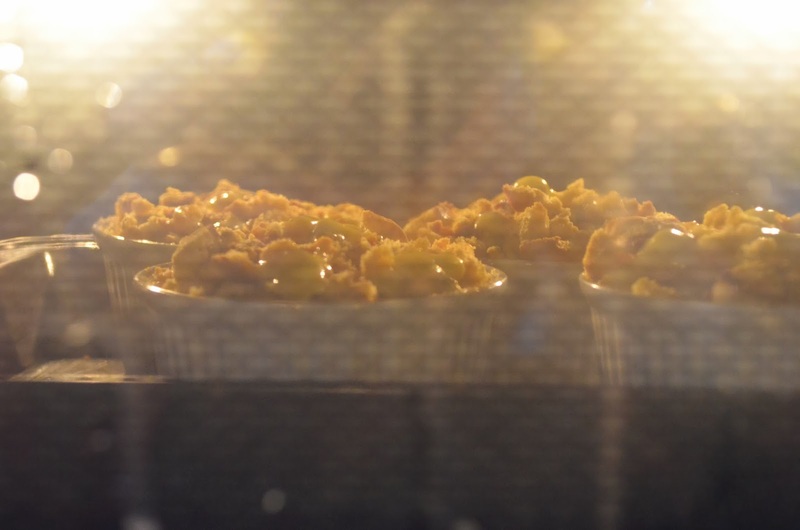 Put the dish in a preheated oven of 180 degrees Celsius or 360 degrees Fahrenheit for about 25-30 minutes. After 15 minutes the smell of apples and cinnamon will start to fill the room, at this point you might want to check your Brown Betty. If the top looks dark cover the dish with a bit of aluminum foil to prevent it from burning or drying out. 6. Serve with a dollop of (cinnamon ice) cream on top! Or another nice serving idea if you've made them in crème brûlée dishes as well: turn them over onto a plate. If it manages to stay in shape (mine did!) then it looks so cute! If it falls apart instead you can call it a hot mess. I doubt anyone will mind the looks of it once they dig in! Oh yes! Before I forget, you have to check out this link. It's a food time line with a whole lot of American foods and some of their earliest recipe documentation. I've completely fallen in love with all those ancient recipes. Did you ever think of the enormous amount of slightly different versions of Brown Betty? Or that cake pops date back to 1963? Or how about carrot cake: did you know it was imported to America by European settlers, but possibly 'invented' by the Arabians? Amazing! I have made this once before and loved it. Thanks for reminding me that I should probably try my hand at brown Betty again! Haha, no problem Mallory! Im glad I could help :P Thanks for stopping by! Sounds amazing and makes me want to change the song "Black Betty" to "Brown Betty" and sing whilst I bake these! You know, I had to look up the song to know what youre talking about :P But now I totally agree! I wouldnt chop apples to that beat though..